Popular Publications publisher Harry Steeger and writer Robert J. Hogan had scored a hit with G-8 and His Battles Aces in 1933. A year later, they put their heads together and concocted a crime series with a fantasy flare. They called it The Secret 6! Steeger always credited the successful Park Avenue Hunt Club stories running in the pages of Detective Fiction Weekly as his main inspiration. But the types of stories he asked Robert J. Hogan to write smacked of the one and only Doc Savage. 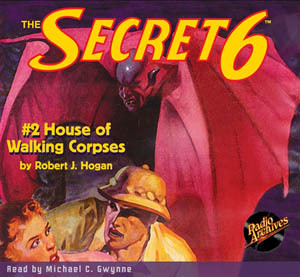 In a sense, The Secret 6 was a take off of Doc Savage and his men—but without the superhuman aspects of Doc. 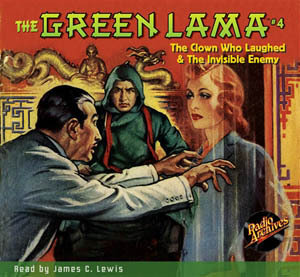 The title was lifted from a 1931 crime film. To insure that the first issue sold like hotcakes, they stole a little more of Street & Smith’s thunder by titling that debut novel The Red Shadow. The premise was simple. Framed for the crimes of the diabolical Red Shadow, a mystery man with a haunted past calling himself King breaks out of the Death House. Scouring the Underworld, he assembles a team of shadowy specialists who dedicate themselves to hunting down The Red Shadow. 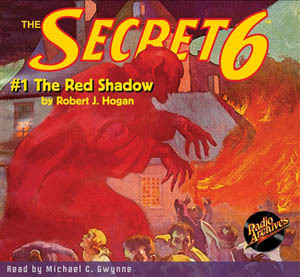 But The Red Shadow conceals a secret even The Secret 6 doesn’t suspect! 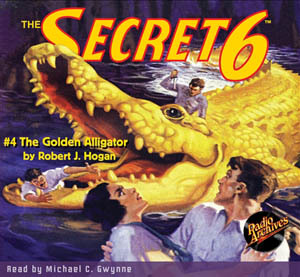 Only four issues of The Secret 6 were ever published. But what a glorious run! 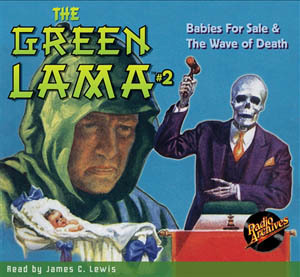 The Red Shadow was followed by House of Walking Corpses, The Monster Murders and The Golden Alligator. 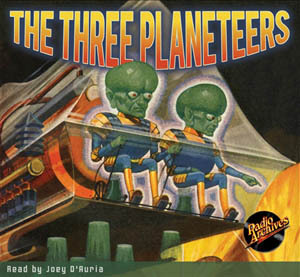 Each succeeding novel was more fantastic than the one before. The Red Shadow is narrated with the headlong velocity of a locomotive by Michael C. Gwynne.